Are you an author residing in the New England part of the Northeastern United States? Are you looking for book publishers in the American Northeast? 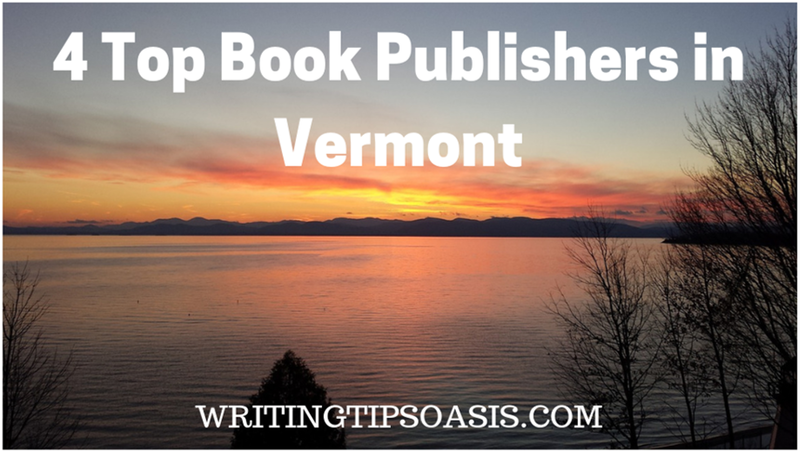 Below are 4 top book publishers in Vermont. Inner Traditions have been publishing books on mind body and spirit since 1975 when Ehud C. Sperling, then working at the Famous Weiser’s bookstore in New York City was inspired to set up his own publishing house. Inner Traditions publish new age and esoteric books covering a whole range of subjects within that field. There is astrology, philosophy self-help, as well as a range of Tarot and oracle cards in their divination section. Natural health, diet and nutrition also feature prominently. As well as books for adults you will find titles aimed at teens and children. These include illustrated retellings of traditional tales and legends from eastern to Celtic mythology as well teen astrology books. Their current best sellers include a revised edition of T. K. V. Desikachar’s classic The Heart of Yoga – a practical guide to Yoga based on the teaching of his father the renowned Yogi Krishnamacharya. Books and authors are promoted through to wide range of author events both in Vermont and beyond. These include book readings and radio interviews to help authors promote their books. According to founder Dede Cummings the Brattleboro based Green Writer Press is committed to promoting environmental awareness and inspiring green activism through publishing works on these topics. They also remain true to their green aims in the way the produce books preferring print on demand over large, potentially wasteful print runs and sourcing environmentally friendly paper stock. However, they don’t only publish books of information on environmental issues. They have other genres including adult and children’s fiction as well as poetry. They are particularly active in promoting local poets through their individual collection and anthologies. Recent fiction publications include Matt Fitzpatrick thriller Crosshairs set in Boston’s murky underworld. Alongside this “Boston noir", you can find the rather gentler Walking Though the Seasons – collection of thoughts and reflections on the changing year by local author Marilyn Webb Neagly. Green Writers Press are happy to considers new writers for publication but submission must be made online through Submittable and are accepted during specific times of the years. Details of the submission criteria and procedure as well as of their reading periods can be found at this page. Chelsea Green Publishing began in 1984 and publishes book which take a practical as much as theoretical approach to environmentalism. In keeping with this they favour an ethical business model and 90 per cent of their books are printed on recycled paper within the United States to minimise impact of their activities. Best sellers include health and nutrition books such as Eliot Coleman’s newly updated edition of the classic The New Organic Grower first published in 1988. Among the recent releases is Matthieu Auzanneau’s Oil, Power and War – a study of role played by the oil industry in the wider political sphere. Many of their books have won prestigious awards including a New York Times Notable Book of the Year and A Readable Feast Cookbook Award. Chelsea Green will consider queries as well as more detailed proposals for books on relevant topics and provide clear guidelines about how to submit. Jewish Lights is an imprint of Skylight Publications which publishes books about all different faiths. Jewish Lights focuses on Jewish culture, traditions and spirituality. There are books for both children and adults. Their children’s books include retelling of bible stories such as the award winning Adam and Eve’s First Sunset with full color illustrations. For older children there are some lively graphic novels featuring Rabbi Harvey who transports traditional Jewish folk tales into the Wild West. Although books focus primarily on the Jewish faith, interfaith relations are also represented as well as books which explore ways of applying the principles of Judaism to current environmental issues. They are open to submissions although there is little information on their website. They do however provide an email address for potential author to make further enquiries. Do you know any other book publishers in Vermont? Please tell us about them in the comments box underneath! Eileen Farrelly gained her Masters in Adult and Continuing Education in 2008 and currently works in community education. She has written on a range of topics and has also had poetry published in journals and anthologies. In her spare she enjoys singing and trying to play fiddle in a folk band.